President Donald Trump’s administration announced Monday that the United States would sanction Venezuela’s state-owned oil company in an ongoing effort to force President Nicolas Maduro out of power. The sanctions block purchases of Venezuelan oil by United States companies and freeze the assets of the state-owned company in the United States. The sanctions were announced by National Security Advisor John Bolton and Treasury Secretary Steve Mnuchin. The sanctions directly target the source of Maduro’s wealth and prevent him from raiding the company’s financial assets to remain in power. Mnuchin said that the company would receive sanctions relief once Maduro stepped down and the country recognized Interim President Juan Guaido. 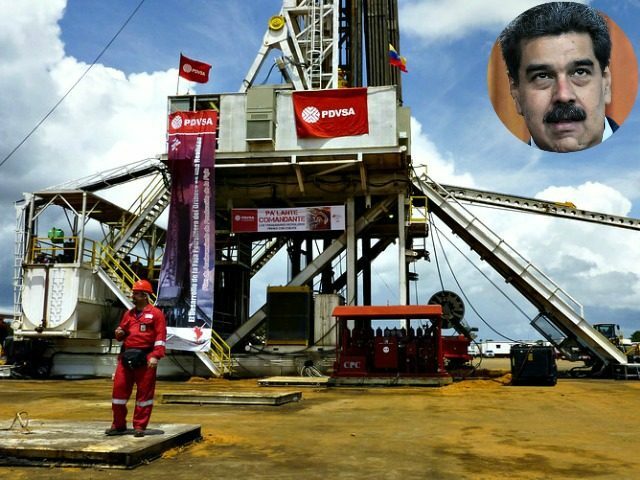 “The path to sanctions relief for PDVSA is through the expeditious transfer of control to the Interim President or a subsequent, democratically elected government,” he said. The United States recognized Guaido as the official leader of Venezuela last week. Citing already low oil prices, Mnuchin said he was not concerned that the new sanctions would have a big impact on gas prices in the United States. Bolton said that the actions announced on Monday were only one step the administration was considering to drive Maduro from power. “The president has made it very clear on this matter that all options are on the table,” he said.